Brian Whiteside is the Director of Ceremonies for the Humanist Association of Ireland. In this talk, Brian will speak from both a personal and general viewpoint about Humanism in Ireland, its history and its recent growth. He will also detail the different activities of the HAI, under the headings of community, campaigning and ceremonies. He hopes that his talk will lead to questions and answers and a lively discussion afterwards. Brian “discovered” Humanism in 2002 following a career in business. Over the last 14 years he has been immersed in the Humanist Association of Ireland, both as Director of Ceremonies and leading various campaigns. He was central in achieving the change in legislation to give legal status for Humanist marriage ceremonies. Brian lives in Dun Laoghaire where he recently started the South Dublin Humanist Community. Although he is from Dublin he is proud of his Cork roots where his grandfather was a Church of Ireland clergyman. This talk begins at 8:00pm on Thursday 11 February. The venue is Blackrock Castle Observatory, Cork. 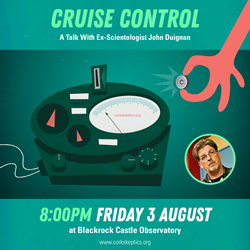 Categories: Events, Religion, Skepticism, Skeptics In The Castle | Tags: blackrock castle observatory, brian whiteside, cork, cork skeptics, hai, humanism, humanist association of ireland, ireland, poster, SITP, skeptics in the pub, talk | Permalink. 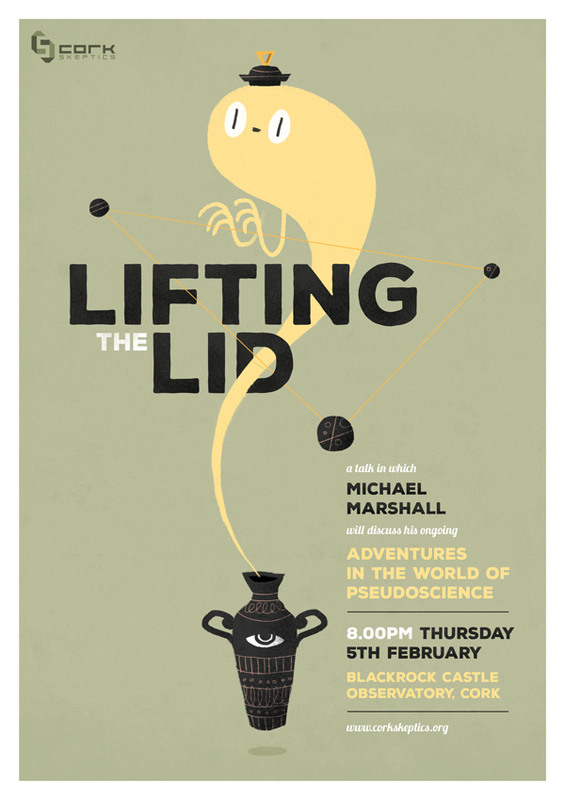 Our next talk will feature Michael Marshall of the Merseyside Skeptics Society recounting his ongoing adventures in the world of pseudoscience! This talk will take place on Thursday 5th February at Blackrock Castle Observatory, Cork. About the Talk: It’s easy to think of pseudoscience as existing in a glass case at a museum – something to be examined and critiqued from a safe distance, but not something to touch and to play with. Using examples taken from his own personal experiences in skepticism, Michael Marshall will show what happens when you begin to crack the surface of the pseudosciences that surround us – revealing the surprising, sometimes shocking, and often comic, adventures that lie beneath. About the Speaker: Michael Marshall is the Vice-President of the Merseyside Skeptics Society and Project Director of the Good Thinking Society. He regularly speaks with proponents of pseudoscience for the Be Reasonable podcast, as well as co-hosting the Skeptics with a K podcast. His work with the MSS has seen him organising international homeopathy protests and co-founding the popular QED Conference. He has written for the Guardian, The Times and New Statesman. This talk begins at 8:00pm on Thursday 5 February. The venue is Blackrock Castle Observatory, Cork. Categories: Events, Humour, Paranormal, Pseudoscience, Skepticism, Skeptics In The Castle, Woo | Tags: blackrock castle observatory, cork, cork skeptics, humour, merseyside skeptics, Merseyside Skeptics Society, michael marshall, poster, pseudoscience, SITP, skeptics in the pub, talk | Permalink. 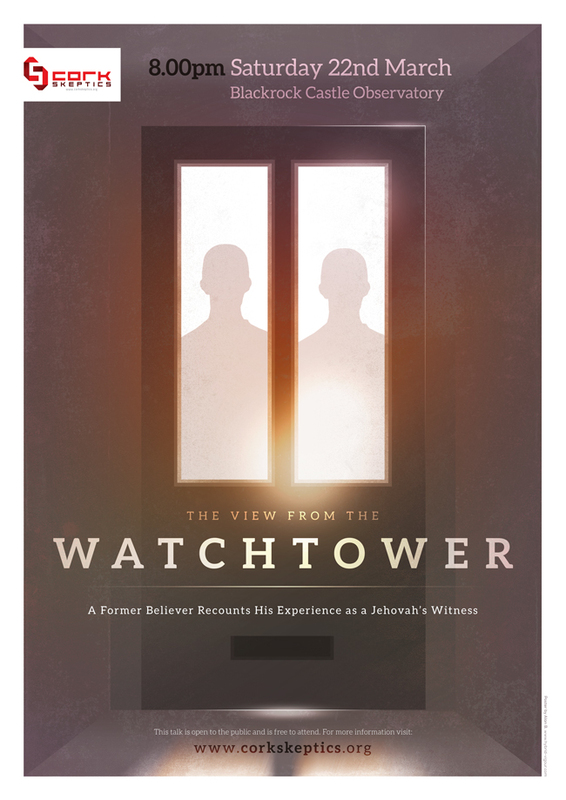 Most people at some time or other—usually on the doorstep—have had a brief conversation with one of Jehovah’s Witnesses. It probably went something like this: “Isn’t the world in a mess? Do you think things will ever get better? Do you know that the Bible promises that God will make it possible for good people to live forever right here, on an earth that will be transformed into a paradise?” Then often some literature is left that cites Bible texts to support this belief. The Witness worldview that underpins this theology is quite surprising. What is Armageddon and what will happen to most of the world’s population when it comes? How do Witnesses view other religions? How do members regard higher education? What is wrong with having a birthday party, celebrating Christmas or voting in elections? Our speaker for this event was for many years a devout member of the Jehovah’s Witness community in Cork. In this talk, he will briefly outline the history of the religion, summarise the key beliefs and recount his own experience as a member. There will be plenty of time for questions and answers, and all are welcome at this free event. This talk takes place at Blackrock Castle Observatory at 8pm — directions can be found on our information page. We hope to see you there! Categories: Events, Psychology, Religion, Skeptics In The Castle | Tags: cork, ireland, jehovah's witness, outreach, public, science, talk, the watchtower | Permalink. The Little Atoms Road Trip featuring Neil Denny! 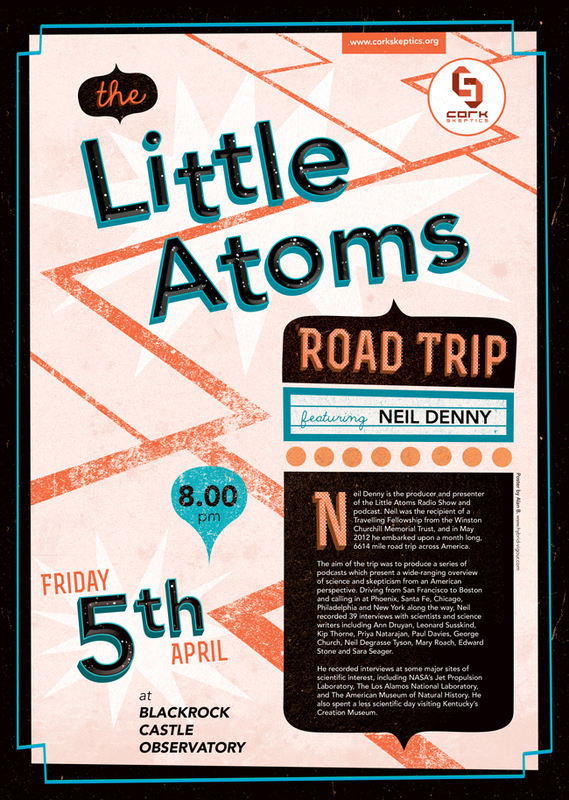 Our next meeting is The Little Atoms Road Trip, featuring Neil Denny! The talk begins at 8pm in Blackrock Castle on Friday 5th April. Neil Denny is the producer and presenter of the Little Atoms Radio Show and podcast. Neil was the recipient of a Travelling Fellowship from the Winston Churchill Memorial Trust, and in May 2012 he embarked upon a month long, 6614 mile road trip across America. The aim of the trip was to produce a series of podcasts which present a wide-ranging overview of science and skepticism from an American perspective. Driving from San Francisco to Boston and calling in at Phoenix, Santa Fe, Chicago, Philadelphia and New York along the way, Neil recorded 39 interviews with scientists and science writers including Ann Druyan, Leonard Susskind, Kip Thorne, Priya Natarajan, Paul Davies, George Church, Neil Degrasse Tyson, Mary Roach, Edward Stone and Sara Seager. He recorded interviews at some major sites of scientific interest, including NASA’s Jet Propulsion Laboratory, The Los Alamos National Laboratory, and The American Museum of Natural History. He also spent a less scientific day visiting Kentucky’s Creation Museum. Categories: Academia, Events, Science, Skepticism, Skeptics In The Castle | Tags: blackrock castle observatory, cork, ireland, little atoms, neil denny, podcast, poster, road trip, science, skeptic, skeptics in the pub, talk | Permalink. 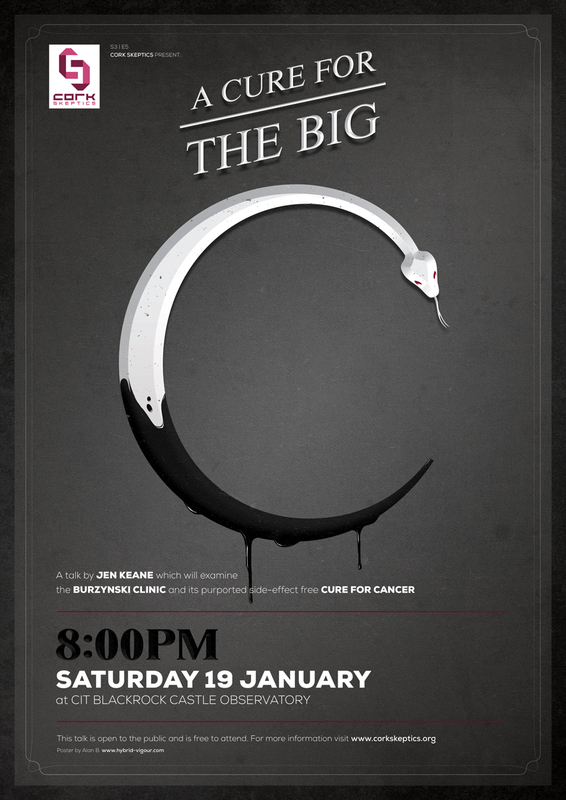 Our next meeting takes place on Saturday 23rd February at Blackrock Castle Observatory, starting at 8.00pm. 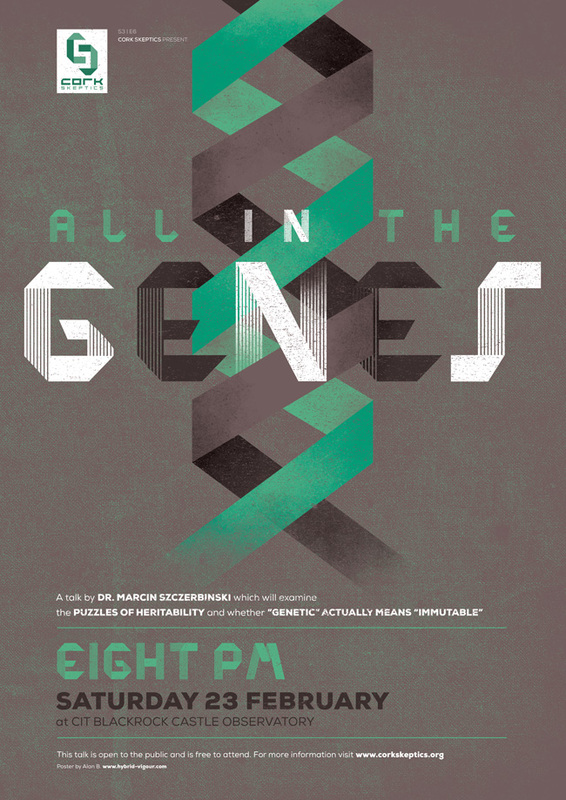 This talk by Dr. Marcin Szczerbinski, Lecturer in Applied Psychology at UCC, will explore genetics and the puzzles of heritability. What does it mean to say that a trait is heritable? Is there a gene for schizophrenia or a “gay gene”? What can we learn from looking at cases of identical twins raised apart, or indeed from adopted children raised together? And does genetic actually mean immutable? These and similar questions will be addressed during what promises to be a truly insightful talk. About the speaker: Dr. Marcin Szczerbinski is a Psychology graduate of the Jagiellonian University in Kraków, Poland, and of the Department of Human Communication Science, University College London. From 2001 until 2011 he was a lecturer at the Department of Human Communication Sciences, University of Sheffield, where he contributed to a number of undergraduate and postgraduate programmes, particularly in Speech and Language Therapy. He joined UCC in January 2011. 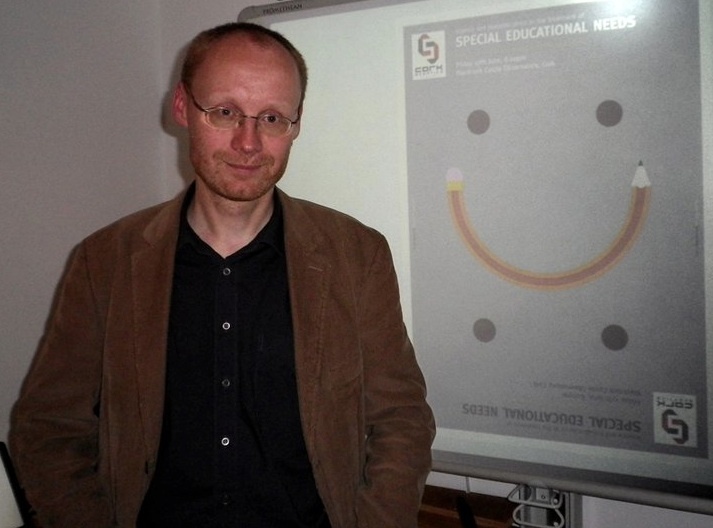 This will be Dr. Szczerbinski’s second talk for us, following his talk on Special Educational Needs in June of 2011. Categories: Academia, Events, Evolution, Health, Research, Science, Skepticism, Skeptics In The Castle | Tags: blackrock castle observatory, cork, DNA, double helix, dr. marcin szczerbinski, genes, genetics, heritability, ireland, medical research, poster, promotion, public outreach, research, science, skeptic, skeptics in the pub, talk, UCC | Permalink. Our next meeting will take place on Saturday 17th November at Blackrock Castle Observatory, starting at 8.00pm. The talk is by Dr. Andrew Sneddon, lecturer in International History at the University of Ulster. 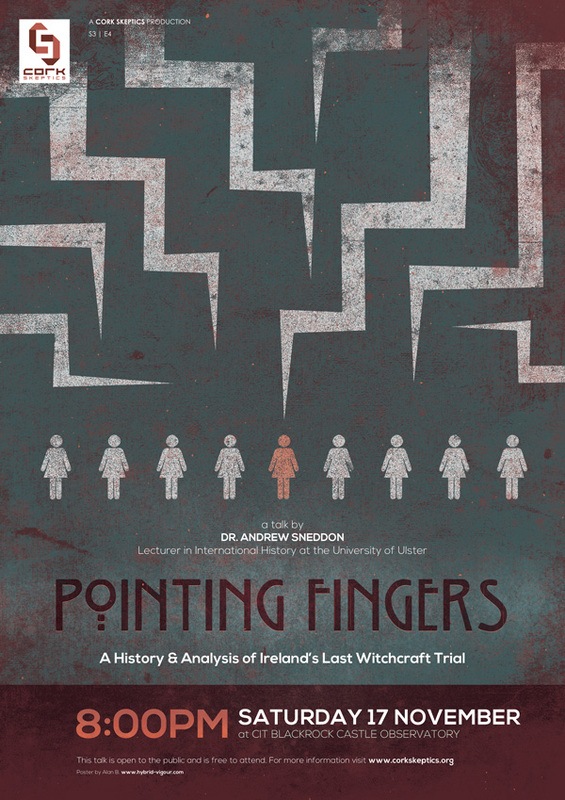 This talk will re-examine Ireland’s last prosecution for witchcraft at Carrickfergus Assize Court in Co. Antrim in March 1711. It will explore the reasons why eight women found themselves in the dock accused of causing the possession, by means of witchcraft, of a young woman, Mary Dunbar. It will also explore why, in a period of increasing scepticism towards ‘proving’ the crime of witchcraft all over Europe, the women were found guilty under the sixteenth-century, Irish Witchcraft Act. This will all be placed in its theological, intellectual and legal context by exploring the European ‘witch-craze’ of the early modern period. 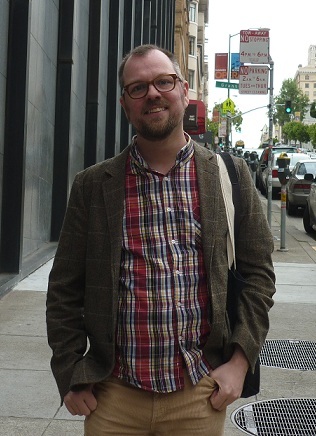 About the speaker: Dr Andrew Sneddon is lecturer in history at the University of Ulster, specialising in social and intellectual history, exploring through this the religious, legal, medical, and ‘supernatural’ histories of Britain, Ireland and, to a lesser extent, Europe. He has published widely in these fields and in 2008 published a biography of the sceptical witchcraft theorist and bishop of Down and Connor, Francis Hutchinson (1660-1739). He is currently writing an account of the Islandmagee trial, to be published in early 2013 and entitled, Possessed by the Devil, as well as a tome that will explore witchcraft and magic in Ireland, 1586-1949, which is due to be published by Palgrave Macmillan in 2014. Categories: Academia, Books, Crime, Events, History, Pseudoscience, Psychology, Skepticism, Skeptics In The Castle | Tags: 18th Century, author, blackrock castle observatory, book, cork, dr andrew sneddon, history, ireland, law, possession, poster, prosecution, science, skeptic, skeptics in the pub, sociology, talk, theology, university of ulster, witch, witch hunt, witch trial, witchcraft | Permalink.